Your Holiday Claims have helped a mother and son make a no win no fee claim for compensation after they were both struck down with sickness at the Club Mac Alcudia. 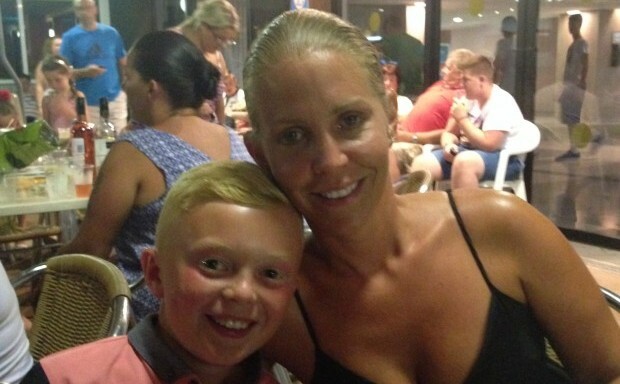 Sophie Packham, 38, was on a two week holiday at the resort with her son Reece, 12. She booked the holiday with First Choice having saved up for two years. But the pair fell ill under a week into the trip, Miss Packham was struck down with stomach cramps, diarrhoea, nausea and vomiting and was left feeling delirious. And a day later Reece developed an ear infection which meant they were both confined to their room trying to recover. Miss Packham said: âI was weak and felt delirious and we were unable to leave our room for two days and spent a whole day in bed, and as it was just myself and my son he also had to stay in the room with me. âI then later found out that I was not alone and that several people had been ill with the same illness. âOn the Wednesday I found out that our hotel had been in the newspapers back in the UK, and I was shocked to find out that the hotel supermarket removed all the papers from the shop that day. âThe rest of our holiday was ruined as I was so weak and lost weight and the diarrhoea was not going away. We couldnt wait to get home as there were so many people just being randomly sick and the hotel toilets were vile. âWe returned home in the early hours of Sunday, August 10 and on the Monday I started being sick againâ. Miss Packham visited her GP after returning home and was diagnosed with gastric illness following a stool sample, she was instructed to rest and Reece was treated with antibiotics for his ear infection. She said: âI was so upset and disappointed as we hadnt been on holiday for a couple of years and I worked so hard to save for this holiday that was a nightmareâ. Your Holiday Claims were able to help the pair recover a combined total of £5,950 in compensation after claiming against the tour operator for their ruined holiday. Experienced Travel Law Solicitor, Sue Robinson, said: âLast year we heard from over 50 guests who were affected by sickness at the Club Mac Alcudia, so Im very pleased that we were able to help Sophie and Reece claim the compensation they deserve given that they were staying at the hotel when it had such a widespread problem with sicknessâ. You can read more about how we help people claim compensation for illness in Spain here.